See Ramchand Pakistani for their performances. But be prepared to be patient. This film deals with the topical issue of cross-border prisoners who are languishing in jails both in India and Pakistan often for no reason at all. After Pakistani music then, it seems to be the right time for us to open up a bit more to Pakistan's burgeoning and talented film industry. 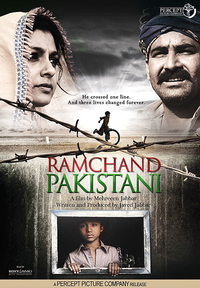 The stellar performances by the entire cast make "Ramchand Pakistani" an emotionally engrossing watch.